begins the evening of 11th through 12th April. In 1953, six years after Israel’s rebirth from the Nazi’s flames of death, a special motion was passed in the Knesset (Israeli Parliament) to establish Yad Vashem, a Holocaust memorial site on a hill in the Jerusalem Forest. Yad Vashem means ‘A Memorial and a Name’ and is taken from the Hebrew text, “I will give in my house and within my walls a memorial (yad) and a name (shem)” (Isaiah 56:5). These were the very things that Hitler’s regime aimed to wipe from the world’s consciousness – the memory and the name of the Jewish people. 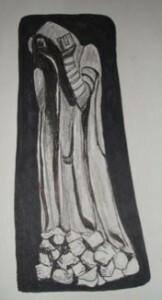 Individuals were tattooed with numbers and rendered faceless and nameless. Communities were uprooted and shattered. The ‘Final Solution’ was devised and implemented to exterminate the Jews as a people, to erase them from memory that they may no longer have a name. The need to remember has recently been underscored with the increase in active Holocaust denial. The exaggerated, blatant anti-Semitism and denial of the Holocaust that is rampant in Middle Eastern politics and press is maybe understandable, but it is all the more dangerous when found propagated by Israel’s enemies on Western University campuses and in purportedly academic literature. If this is being perpetrated one generation after the event, with eye-witness survivors still living, what can be expected in another twenty years? We cannot underestimate the value of recording indisputable evidence, and the retelling of the heart wrenching and heroic testimonies of those who were as “brands plucked from the fire” (Zechariah 3:2). A special structure stands at Yad VaShem in honor of the almost one million Jewish children who were victims of the Nazi extermination camps. A group of stone pillars, broken off at varying heights, stands outside the Children’s Memorial. At the entrance is a carved portrait of one young boy, Uziel, whose parents agreed that he could represent all those whose names are lost to the world. Passing through the entrance, one enters a darkened maze of glass passages that reflect candle flames. The names of the murdered children that are known have been recorded and are played softly in the silent space. 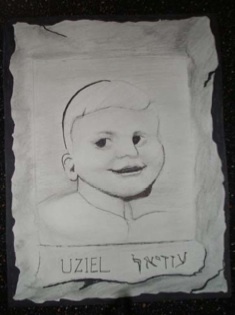 Uziel – “God is my strength” – has a name and a face. Outlived by parents who, with deep and anguished love, have set his fearless smile as a remembrance of the million children whose lives were extinguished. In the subdued, mirrored maze of their memorial one feels suspended in time and space names of the children are repeated in continuous succession their faces, their souls, are mirrored in the glow of a myriad candle flames reflected into infinity. The art and poetry of many children, while herded in ghettoes en route to the concentration camps, were somehow saved and preserved, sometimes miraculously. Here is one poem, that of a boy whose name and thoughts live on. And the white chestnut candle in the courts. Why six million had to die? Those who survived, I admire. Did they march like sheep to the slaughter?? So many questions… The faith of many Jews, even the devoutly religious, was deeply shaken and even lost. Where was God in this inhuman hell? However, these words found on the walls of a cellar where Jews hid from the Nazis in Cologne, Germany, echo the strong deep core of belief in the One God of Israel who, despite the evil perpetrated by man, is constant and faithful and suffers with us in affliction and triumphantly raises dry bones to new life. Even when God is silent. In April of 1951, the Israeli Knesset established the date of 27th Nissan to commemorate as “Holocaust and Ghetto Uprising Remembrance Day”. The date, 12th April this year, occurs during the period of Counting the Omer between Pesach and Shavuot and was selected because it falls between the dates of the Warsaw Ghetto Uprising, which began on the first day of Passover, and the two days, 5th and 6th Iyar (11th – 12th May), that commemorate the memory of those who fell in the wars against Israel and the nation’s establishment of Independence, Yom Ha’Zikaron (Memorial Day) and Yom Ha’Atzmaut (Independence Day). While we joyfully celebrate the freedom of the Jewish people restored to Eretz Yisrael, the Land of Israel, we first remember the great sacrifice of the lives that were, and sadly continue to be, mercilessly taken by the enemy. It is a deep and moving experience to commemorate Yom HaShoa in Israel. As the evening begins, the President of Israel leads a meaningful ceremony of song, prayer and testimony at Yad VaShem, which is attended by the Prime Minister, other dignitaries and a large gathering of guests. In front of the large stone Wall of Remembrance, six survivors of the Holocaust each lights a memorial flame. 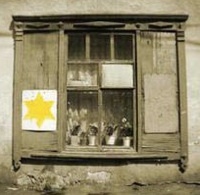 Each person as they enter is handed a yellow paper star resembling that worn by the Jews for identification by the Nazis. Pinning it to one’s clothing conveys a sense of identification with those who suffered the pain and humiliation, as well as with those non-Jews who courageously wore the star as a protest in sympathy with the Jewish victims. When done respectfully, this is very meaningful. Read a selection of poetry and Shoah-related literature and play a selection of appropriate music. View a film, such as “Schindler’s List”, “The Hiding Place”, “The Diary of Anne Frank”. If there are Holocaust survivors, or the children of survivors, living in one’s area they could be approached to share their testimony with one’s congregation or a home group. Read a selection of Scripture verses and pray for God’s purposes for Israel. Make a donation and plant trees as a symbol of new life in Israel. You can do this online via Keren Kayemeth LeIsrael Jewish National Fund. ...God said, “Let us make humankind in our image, according to our likeness…” So God created humankind in God’s image, in the image of God did God create them; male and female created God them. God blessed them..God saw everything that he had made, and indeed, it was very good. This is the message you have heard from the beginning, that we should love one another. We know that we have passed from death to life because we love one another. Whoever does not love abides in death. All who hate a brother or sister are murderers, and you know that murderers do not have eternal life abiding in them. Little children, let us love, not in word or speech, but in truth and action. 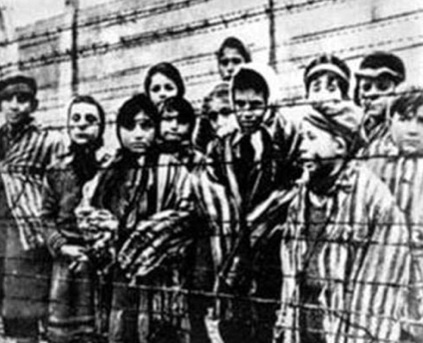 Father, we lift to you those six million of the Holocaust and the myriad slain before and since, even unto this day; we pray for strength and courage to resist the evil that diminishes human beings everywhere because of our prejudice, hatred and fear. Lord, in your mercy bring your healing and peace and may it begin with us. We pray for Benjamin Netanyahu, Prime Minister of Israel, and the leaders of all the nations, that their remembrance of past evil and recognition of evil that is present may be so powerful that peace and justice may cover the earth as the waters cover the sea. Lord, in your mercy, bring your healing and peace, and may it begin with us. We thank You for those who glorify Your Name in simple, hidden, and faith-filled ways. Lord, in your mercy, bring Your healing and peace and may it begin with us. The Kaddish: A Jewish prayer recited by mourners. It has many parallels with the prayer Yeshua taught his disciples. Let the glory of G-d be extolled, and G-d’s great name be hallowed in the world whose creation G-d willed. May G-d rule in our own day, in our own lives, and in the life of all Israel, and let us say: Amen. Let G-d’s great name be blessed for ever and ever. Beyond all the praises, songs, and adorations that we can utter is the Holy One, the Blessed One, whom yet we glorify, honor, and exalt. And let us say: Amen. For us and for all Israel, may the blessing of peace and the promise of life be fulfilled, and let us say: Amen. May the One who causes peace to reign in the high heavens, let peace descend on us, on all Israel, and all the world, and let us say: Amen. 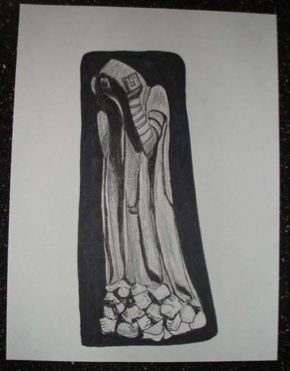 This entry was posted in Yom HaShoah Holocaust Memorial Day by Cindy Lou. Bookmark the permalink. A sublimely-written, bittersweet ode to the Six Million whose names and memories are etched on our hearts and buried in our minds forever.